For the 11th time overall and ninth time in a row, Congregation B’nai Torah has won the Atlanta Men’s Synagogue Softball League A division. The championship game Sunday afternoon, Aug. 30, against second-seeded Congregation Or VeShalom was a low-scoring affair with a rare pitchers’ duel between Billy Light of OVS and Neil Wiesenfeld of B’nai Torah. B’nai Torah, the No. 1 seed in the double-elimination tournament, held a 3-1 lead going into the bottom of the fifth inning, when the squad put up four runs to extend the lead to 7-1. B’nai Torah never looked back, winning the game 7-3. 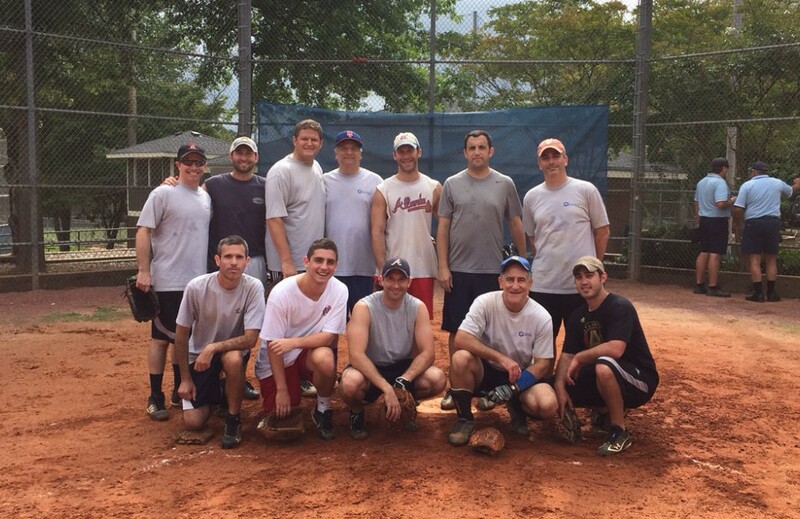 This summer was B’nai Torah’s third undefeated season in the past nine years. Congregation B’nai Torah’s A division champions (pictured above) are David Weidenbaum, David Feldman, Adam Sauer, Neil Wiesenfeld, David Dix, Matt Yoels, Jeremy Friedman, Michael Kornheiser, Art Seiden, Matt Isenberg, Eric Halpern and Sandy Mencher, as well as the not-pictured Steven Richman, Jordan Fladell and Josh Wikoff. The B division champions from Congregation Ariel are Serge Menschikov, Gary Lips, Gabe Lembeck, Rabbi Dan Freitag, Mike Chen, Jonah Goldberg, Larry Glassman, Jeremy Schulman, Avi Binstock, Rob Landers, Adrian Barr and Justin Adler, plus the not-pictured Lenny Felgin, Ryan Lambert and Jason Kaplan. The B division championship featured No. 2 seed Young Israel of Toco Hills (8-2) and No. 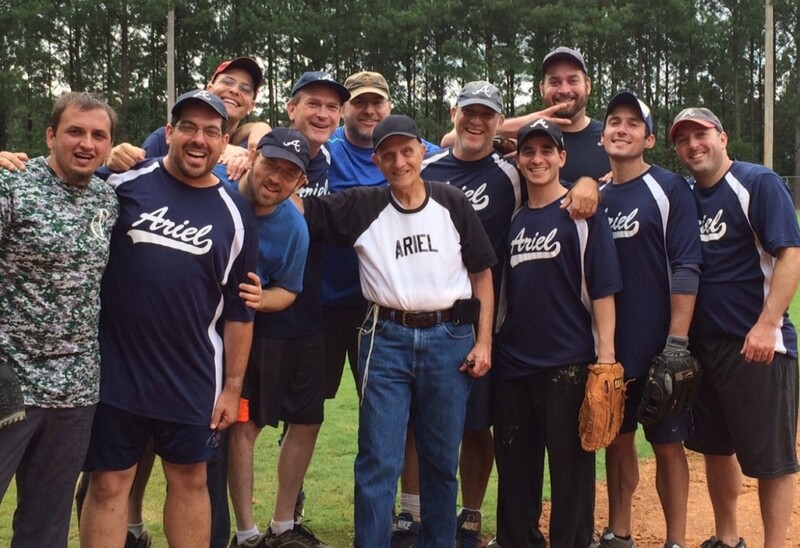 1 seed Congregation Ariel (8-2), which won the finale in two games. Young Israel scored quickly in Game 1 and cruised to an 8-3 victory with impressive defense and timely hitting. The win forced a winner-take-all championship game. Game 2 saw the teams trade offensive blows. Young Israel took an early 6-3 lead, but Ariel fought back to lead 8-7 going into the final inning. With two runners on and no outs for Young Israel, Ariel pitcher Jonah Goldberg grabbed a sharply hit ball and started a 1-5-3 double play. The final out was recorded on a hard-hit ball to shortstop and punctuated by a great play from first baseman Mike Chen, who scooped the ball out of the dirt.